Our hand crafted wine openers are perfect for the most discriminating tastes; an elegant and useful addition to any wine cellar or fine dining experience. 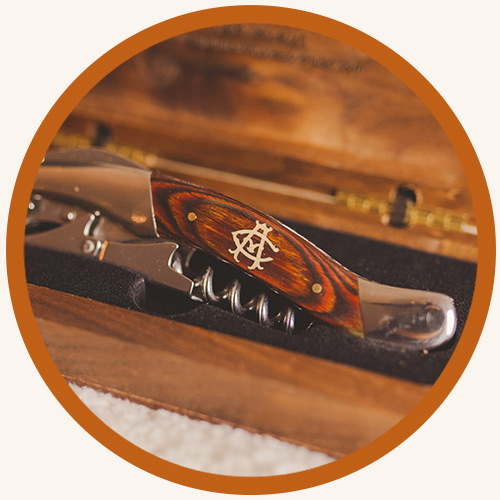 Choose any custom inlay for your wine opener. A handsome walnut box is available as added purchase or wine opener sold separately. Wine openers are $59 each excluding a display box.